[Taliban (religious students) have always been tools of the CIA and the ISI, there to project Pakistan’s power into Afghanistan, without projecting blame for the murderous war crimes committed by them (SEE: Taliban Have Always Been ISI Foot Soldiers, Working For the CIA). There can be no independence from their parent paramilitary institutions in Islamabad. Islamabad/Peshawar, Pakistan: Pakistani officials threatened to expel Afghanistan’s Taliban from bases in Pakistan if they did not join peace talks this month, but the militants rebuffed their traditional patron, two officials said, casting doubt on how much influence Islamabad retains over them. After the secret meetings with Pakistani officials about two weeks ago, the Taliban’s Supreme Council met at an undisclosed location and voted to reject the talks scheduled for early March with the Afghan government, according to a council member. Instead, the insurgents are now pouring back into Afghanistan for what they say will be a fierce spring offensive to be launched soon. Pakistan’s influence over the insurgents is the lynchpin to the peace plan developed over last few months by Afghanistan, Pakistan, the United States and China to bring an end to the 15-year-old war in Afghanistan. A Pakistani official in Islamabad said the Taliban’s recent success on the battlefield inside Afghanistan had changed the equation. “They no longer need their Pakistan bases in the same way, so if Pakistan threatens to expel them, it does not have the same effect,” said the official, a retired military officer close to the talks. The insurgents have won new zones of influence – if not outright control – from Afghan security forces since the United States and its allies pulled most combat troops from Afghanistan at the end of 2014, Afghan and Western officials acknowledge. “Pakistan’s trump card – safe havens on its soil – is in danger of being snatched away,” said Michael Kugelman of the Woodrow Wilson Institute, a Washington-based think tank. Nafees Zakaria, a spokesman for Pakistan’s Foreign Office, said he had no knowledge of meetings with the Taliban but added, “We usually don’t know who has met with whom” in the sensitive and high-level peace initiative. In Kabul, however, members of the Afghan government were sceptical about Pakistan’s assertions. “Pakistan’s honesty and sincerity with regard to the Afghan peace process has always been a question,” said an Afghan cabinet member, echoing the sentiment of several officials interviewed there. Pakistan’s military has long been accused of fostering the Taliban as a way of pursuing regional rivalry with India. Pakistani officials, however, deny the charge and insist the government and military recognise that Afghanistan’s war threatens their own security . A member of the Taliban’s leadership council, or shura, whose members are mostly based in Pakistan and Afghanistan but also travel between Qatar and the United Arab Emirates, said rebel representatives met in Islamabad with Pakistani officials a little more than two weeks ago. “They have asked our representatives to bring more decision-making people to the next meeting … to the meeting with U.S. and Afghan officials. This is their dream, but they will not be able to see our senior commanders,” the Taliban council member said. A senior Pakistani security official with knowledge of the talks said: “I don’t think the talks are dead, but they are definitely plagued by a serious illness. “The ones who are in Pakistan … We have told them repeatedly that they will have to leave if they don’t participate in the process,” the Pakistani official said.. The Taliban source had knowledge of, but did not attend, the meeting with Pakistani officials in Islamabad. He was at the subsequent Taliban council meeting to decide on whether to join the peace talks. The pro-talks camp largely comprised supporters of nominal Taliban leader Mullah Akhtar Mansour, believed to be hiding in Pakistan after being shot in a leadership dispute last year and rumoured killed, and his chief rival, Mullah Mohammad Rasoul, who is believed to be in Afghanistan. Taliban spokesman Zabihullah Mujahid declined to comment on any meetings with Pakistani representatives. He confirmed the Leadership Council meeting but would not give details. Publicly, both the Afghan and Pakistani government are expressing hopes that peace talks can begin before the traditional Taliban spring offensive . Pakistan’s top diplomat Sartaj Aziz spoke last week of progress in restarting talks “in coming days”. However, Taliban commanders told Reuters that with the council’s decision, they are focusing on launching their annual fighting season with the hopes of grabbing more territory. 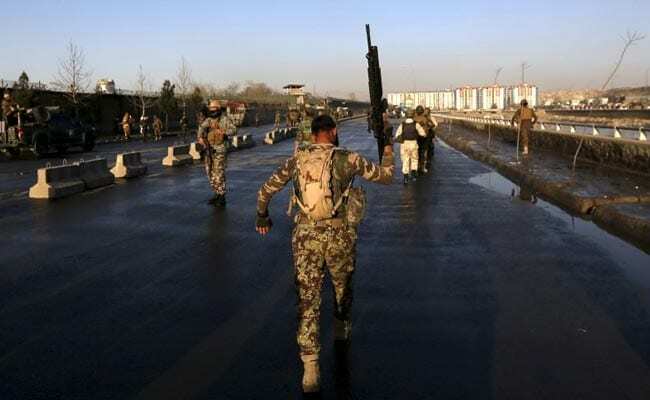 “We already have started focusing on the spring offensive, and that’s why the majority of the fighters and commanders are going there (Afghanistan),” said a senior Taliban figure, based in the Pakistani province of Baluchistan. The U.S. government has a history of inserting propaganda into popular culture, sometimes overtly and sometimes behind the scenes. Comics historian Jeet Heer has dug up a particularly interesting example: Roy Crane’s strip Buz Sawyer. Crane not only coordinated his storylines with Washington during World War II and the Cold War, but he sometimes allowed officials to dictate the details of his plots. To read Heer’s whole article, go here. 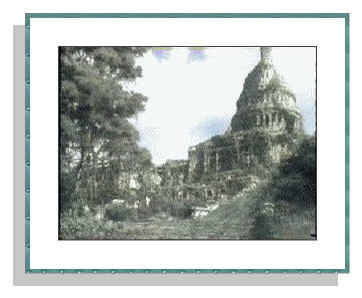 To read about the government’s efforts to influence radio programs during World War II, go here. For a more recent story of this sort—the messages that the Clinton-era Office of National Drug Control Policy inserted into prime-time TV shows—go here. A U.S. judge on Tuesday dismissed claims against Saudi Arabia by families of victims of the Sept. 11, 2001, attacks, who accused the country of providing material support to al Qaeda. U.S. District Judge George Daniels in Manhattan said Saudi Arabia had sovereign immunity from damage claims by families of the nearly 3,000 people killed in the attacks, and from insurers that covered losses suffered by building owners and businesses. “The allegations in the complaint alone do not provide this court with a basis to assert jurisdiction over defendants,” Daniels wrote. 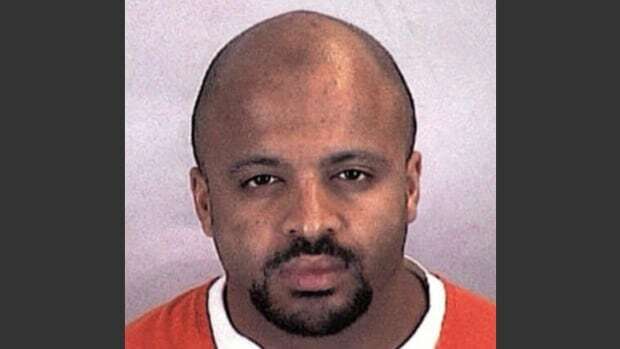 The victims had sought to supplement their case with new allegations to avoid that result, including based on testimony they secured from Zacarias Moussaoui, a former al-Qaeda operative imprisoned for his role in the attacks. Lawyers for the plaintiffs said they would appeal. Sean Carter, one the lawyers, said he believed the ruling was also the consequence of the U.S. government’s decision to keep classified evidence that could be favourable to their cause. A lawyer for Saudi Arabia declined comment. The ruling came just over 14 years after the Sept. 11, 2001, attacks, in which airliners hijacked by al Qaeda militants brought death and destruction upon the United States. The case against Saudi Arabia has had a complicated history, with trial judges including Daniels twice before ruling that Saudi Arabia was entitled to immunity under the federal Foreign Sovereign Immunities Act. But in 2013, the 2nd U.S. Circuit Court of Appeals in New York revived the lawsuit, in light of a 2011 decision that allowed similar claims to proceed against Afghanistan. 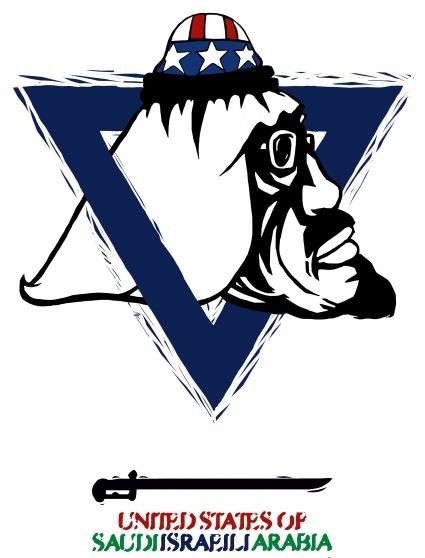 [The author of the following does an excellent job of laying-out the primary strands of the Middle East knot. 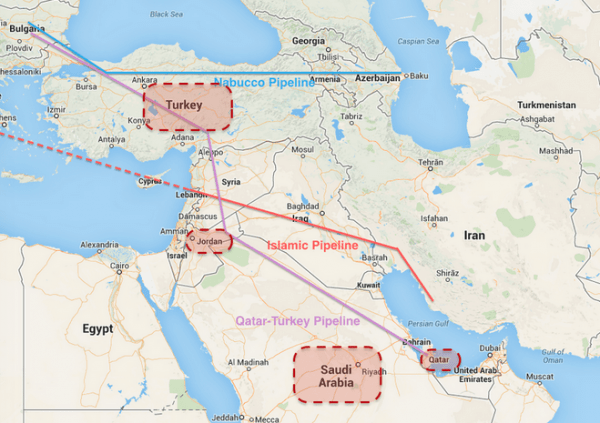 The architects of the “Arab Spring” understood these strands and many more, giving them intimate knowledge of the primary “buttons” to be pushed, in order to set the Middle East on fire. This is what the amazing CIA psywarriors did, by intention, NOT by accident. The problem has been in getting Western leaders to admit that their policies have been wrong since the beginning of the terror war, following policies which multiplied terrorism wherever US counter-terrorism took hold. It is not just that Obama’s policies which have been misguided, because he has continued to follow the same Pentagon policies which managed Bush’s war. American policies in general, since 2001, have been to tear countries apart, without consideration for what would come next. Now that the contradictions between America’s words and actions have become apparent to the people of the world, popular opinion is turning against the Empire, breaking the American global dictatorship (new world order). Next comes worldwide realization that this has all been intentional, NOT by accident, or through a series of devastating mistakes. The objective of the “Arab Spring” has always been to create chaos throughout the Muslim world, to be achieved through total destruction. Only rule of law and a culture of diversity can overthrow autocracy and religious fundamentalism in the Middle East. One fundamental problem for Middle Eastern countries is that a majority of the rulers are illegitimate. While each country has its own history and trajectory, common patterns prevail across the region: Those in power have not received their positions from a fair and transparent electoral process. They see themselves as above the law and misuse their absolute power. These autocrats act as a guardian of the people or treat them as an enemy. Sets of tribal and religious convictions replace law in many countries in the Middle East and North Africa, and power is fundamentally linked to tribalism or religion. How have power struggles, religious conflict, discrimination, security issues, colonialism and Western hegemony, values and intervention shaped the Middle East? This author spoke to PhD students, academics and university lecturers to learn more. The feeling of attachment to tribalism and fake patriotism under the umbrella of religion is stronger and more apparent than respect for human rights and pluralism in the Middle East. Patriotism is used as a tool to accumulate wealth and oppress the rights of minorities, while religion and tribalism are often militarized, making the use of violence legitimate and normal. In a region where exchange of power often causes destruction and chaos, the psychology of the rulers is structured in such a way that they consider themselves to always be right, thus there is no need for an election. Humans are not seen as humans, but as either friend or foe. Ironically, one has to act like an enemy to be a friend and a friend to be an enemy. That is to say, one has to be the enemy of freedom to be the friend of an oppressor, and to be a protector of an oppressor to be the enemy of democracy. “Sigmund Freud talks in detail about the Oedipus complex; that is, the unconscious rivalry between the father and the son. I see a similar type of complex when it comes to rulers in the Middle East. There is a myth in Kurdish folklore that could say a lot about father-son rivalry in the Middle-Eastern context. 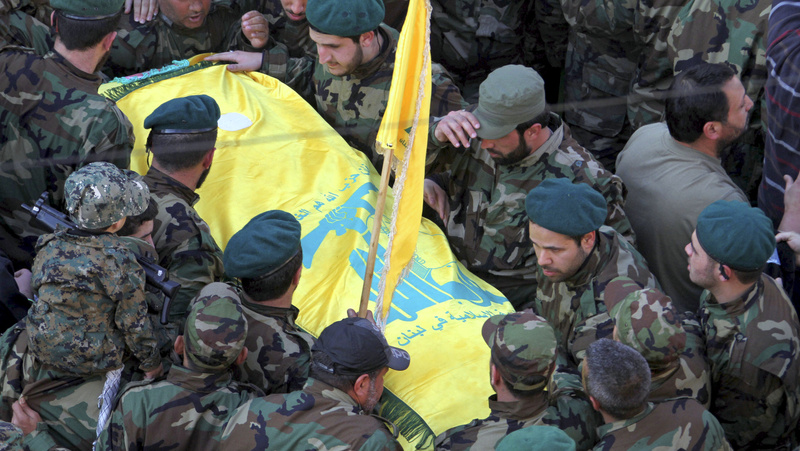 “The story goes that a father, after having lost all his sons but one, arranges a wedding for his last son, Saidawan. As the party ends, Saidawan goes hunting to the mountains, and so does his father. Saidawan dresses in a wild goat’s clothing in order to attract other goats and thus hunt them. His father, on the other hand, seeing a supposed wild goat and not knowing it is his son in disguise, kills him and thus loses his last son. Akoi argues that rulers in the Middle East play the role of a typical superior who enjoys the authority of the father. Therefore, it comes as no surprise that democracy, the product of Western consciousness, always fails to shake the Middle Eastern father’s position. 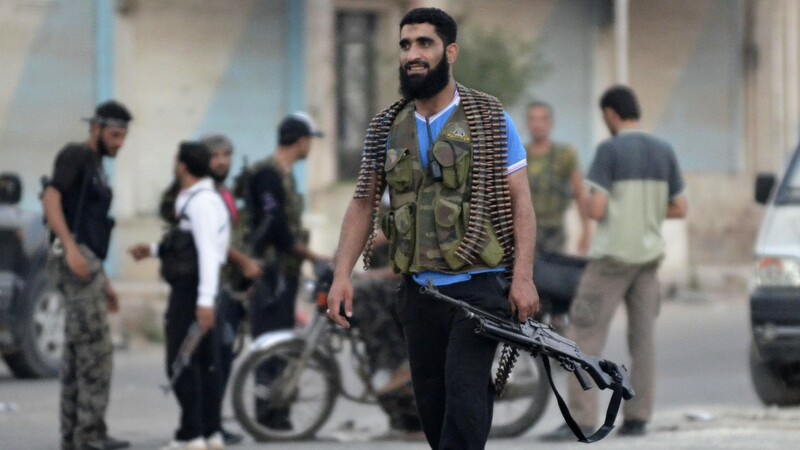 The dictators of Middle Eastern countries see armed struggle as a pathway to their eternal need for power. 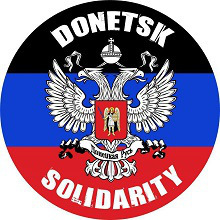 Instead of promoting coexistence, they embrace war and military confrontation; instead of building legitimate institutions, they destroy the country’s infrastructure; and instead of organizing an inclusive, lawful military force, they establish militia units for the sake of adding fuel to the sectarian disputes. This paves the way for the dictators to remain in power as long as they want or until they are forcefully deposed. For Sarkawt Shamsulddin, a political analyst at the Kurdish Policy Foundation specializing in governance and security and NRT TV’s bureau chief in Washington DC, two issues are of pivotal importance: the abuse of religion and a lack of good governance. The focus here is on governance. In the underdeveloped countries of the Middle East, security and military forces are dominated and ruled by tribal chiefs and religious figures. Infringement of political rights is authorized through elastic rules, and the confiscation of democratic values is fallaciously considered a religious duty. The public sphere is in total chaos, and the government has too much influence through the media, economy, education and even on the private lives of the people. This abuse of power has become an inherent part of governments’ mechanism to uproot any kind of freedom—be it freedom of speech, freedom of expression, freedom of conscience or freedom of the press. Zubir Rasool, a PhD candidate of Middle East politics at the University of Exeter, argues that there are numerous problematic issues that can contribute to the structure of current conflict in the Middle East. The main issue in this regard has to do with the structure of the so-called “nation-state” on the one hand, and its political, social and economic functions on the other hand. The middle-class has deteriorated and the professional workforce is almost non-existent. A lack of public facilities, low income and high unemployment keep people frustrated. A lack of food quality and stable electricity, poor health care and stagnant education keep people over-occupied and struggling. This way, people do not have the means to revolt. They are more occupied with providing the basic needs to survive, let alone the strenuous dangers of migration and the perpetual challenges of resettlement, identity, discrimination and cultural integration. Ramyar Hassani, a human rights observer in Latin America, Europe and Kurdistan, says that in a Middle East that is burning because of sectarian wars and extremist organizations, being a refugee has become a normal phenomenon. With that in mind, whenever there is a revolution, the faces change, but the mentalities are the same. That is to say, a new despotic clan will take over power, establishing the same sort of mechanism to replace and then rule in the same manner as the ousted autocrat. Each clan or tribe controls a certain territory with their own armed force and militia in hand and their own rules in place. That being said, constitutional legitimacy is threatened by political outbidding and revolution. The legitimate exchange or handover of power and social justice are vulnerable in the face of political and economic corruption, which is why disorder, instability and war have always been part of the autocrat’s culture and mentality. Sherko Kirmanj, a visiting senior lecturer at the University of Utara Malaysia and the author of Identity and Nation in Iraq, believes the question of legitimacy is one problem that faces the Middle East. Western leaders and institutions have a limited understanding and familiarity with Middle Eastern societies, cultures and politics. This often leads to a focus on increasing arms and ammunition supplies and offering military training, especially in times of a violent insurgency, instead of the much-needed humanitarian, educational and developmental aid. This creates an ongoing cycle, wherein whoever has the most military strength holds power and steps into the same pattern of governmental rule. What has blinded the West is the age-old misconception that Middle Eastern societies are anti-civil society, anti-democracy and anti-multiculturalism. This thinking leads to the conclusion that these societies are doomed to remain in bloodshed, where the best treatment is the importing of more and more weapons. This approach fails to address the root problems and instead contributes to the cycle of violence. The West must realize that the real danger lies in the empowerment of religious fanatics and systemic corruption that have replaced true critical thinking, quality education and effective institutions. By publishing and glamorizing radical groups’ propaganda on media platforms such as YouTube, the West can demonstrate how significant a culture of diversity and rule of law is for consolidating democracy. These two elements—rule of law and a culture of diversity—are the only means through which autocracy and religious fundamentalism can be overthrown. Aras Ahmed MhamadAras Ahmed Mhamad is a freelance journalist and regular contributor for Fair Observer. IN many respects, Saudi Arabia is one of the most advanced nations in the world. It’s the world’s largest oil producer and its cities are glitz and glamour — thriving metropolis’ in the middle of the desert. In other ways, the desert kingdom is far from advanced, a place where barbaric rituals still occur and where the country’s citizens are subjected to horrific punishments. It’s hard to imagine that in Saudi Arabia this week preparations are being made to not only execute a young man but to crucify him. Literally. The world is pleading with the Saudi government to reconsider. Advocates say what’s about to take place makes them feel physically ill. The boy at the centre of it all — Ali Mohammed al-Nimr — says he’s done nothing wrong. Al-Nimr was 17 when he went to an anti-government protest in the Saudi Arabian province of Qatif. He was accused by the government of carrying a firearm, attacking security forces and even armed robbery. None of those charges could be proven but he confessed nonetheless. He didn’t have a lawyer and some say the confession was drawn from the teenager via torture. He was demonstrating at the wrong time in the wrong place — in the middle of a violent government crackdown against detractors. That was February, 2012. Fast forward three years and the charges have stuck, despite a recent appeal. His sentence is due to be carried out by beheading and crucifixion, a method that involves removing the head of the prisoner and tying their headless body to a cross. Often, the crucifixion is carried out in a public place. It sends a strong message to others: We will not stand for criticism, no matter who the person and no matter what their age. A Scottish politician raised al-Nimr’s case in parliament this week. She spoke eloquently and she spoke in strong opposition to a practice that has no place in our modern world. “How in 2015 can a supposedly civilised country impose such an inhumane and merciless penalty on any of its citizens, let alone one so young?” MP Margaret Ferrier said. “It’s an absolute outrage and I intend to write to the minister and ask for urgent action to be taken. 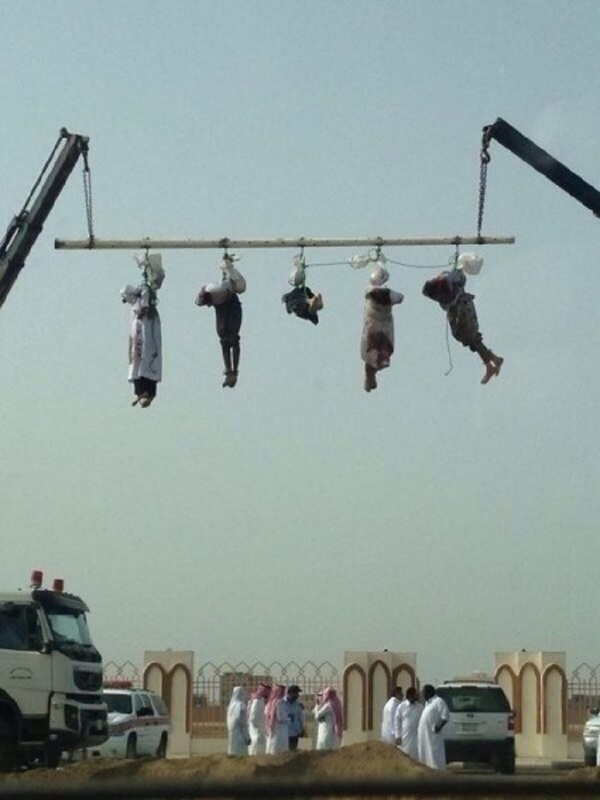 Savagery is nothing new in Saudi Arabia, a country which between 1985 and 2013 executed more than 2000 people. In 2013, 79 people were put to death. Most of them had their heads cut off with large, sharp swords. In January this year, a woman protested her innocence until the final moment when a sword fell across her neck. She was writhing on the hard ground in a very public place trying to escape her executioner. Not once but twice did the sword fall upon her neck, the first blow clearly not getting the job done. Elsewhere, blogger Raif Badawi was jailed for 10 years recently after starting a website for social and political debate in Saudi Arabia. Raif will receive 50 lashings a week for a year for setting up the Saudi Arabian Liberals website. The prosecution first called for him to be tried for apostasy (when a person abandons their religion), which carries a death sentence in Saudi Arabia. Then, in May this year, he was sentenced to 10 years in prison, a fine of over $300,000 AUD and 1000 lashes. When he is finally released, Raif faces a 10-year travel ban which would keep him from his wife and three young children in Canada, according to Amnesty International. A spokesman for Amnesty International told news.com.au the last time men were strapped to crosses and killed was in 2013. “Five Yemeni men were beheaded and crucified, with pictures emerging on social media showing five decapitated bodies hanging from a horizontal pole with their heads wrapped in bags. DOES SAUDI ARABIA HAVE AN AXE TO GRIND? Ali Mohammed al-Nimr is not the only family member under the careful watch of the Saudi government. Ali’s uncle Sheikh Nimr al-Nimr was arrested in July, 2012. A self-described campaigner for human rights for minorities, the 53-year-old has a strong following online where a website and Facebook page have been set up to rally support for his defence. His crimes, including speaking out against the government, carry the death penalty. Maya Foa, director of the death penalty team at legal charity Reprieve, told the International Business Times nobody should have to go through what Ali is going through. New Delhi: Amid the ongoing refugee crisis, RSS mouthpiece ‘Organiser’ has called for building international opinion to force West Asian nations to “stop deadly politics in the name of Islam”. It also hit out at Arab nations including Saudi Arabia and Kuwait for refusing to help the refugees from strife-torn Syria despite having capacities and resources. “…Not only Europe but even countries like Bharat (India) and China cannot afford to sit back and wait for the crisis to subside. The time is ripe to build international opinion and force West Asian countries to stop deadly politics in the name of Islam,” it said. An editorial, “Refuge behind refugees”, in the RSS organ also said Indian “clerics issuing fatwa against the inhuman actions of IS is exemplary in this regard”. 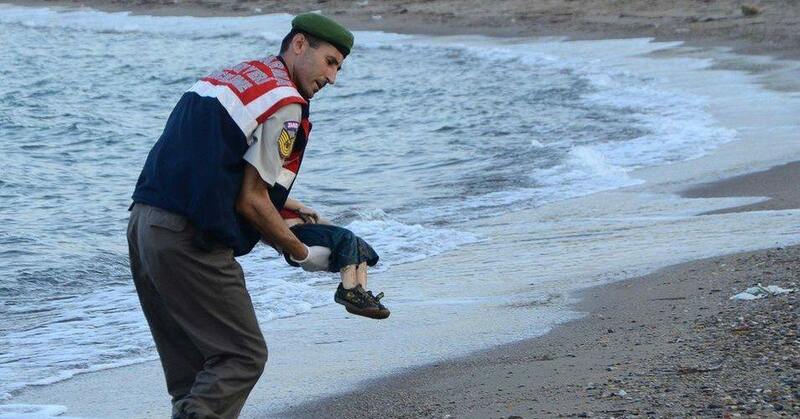 “…Why are some Muslim governments seemingly indifferent to the plight of refugees? They have all the capacities, resources and space but for them the cause espoused by IS is greater than the humanitarian concerns,” it said. 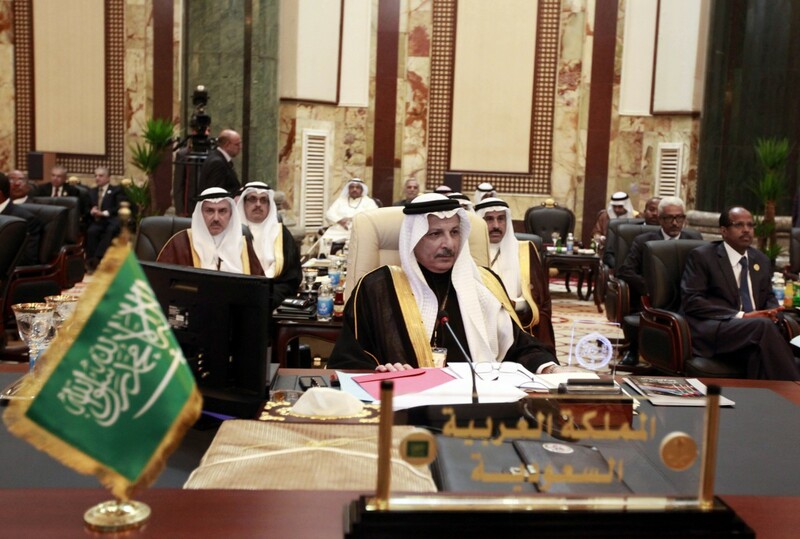 The organ said Saudi Arabia has openly declared that it will not allow any Syrian refugee into the kingdom, while Kuwaiti official argued that ‘they would not fit in’ with the Kuwaiti culture. The ‘Organiser’ said European powers, who are planning refugee quotas and are now vouching for the humanitarian laws, cannot forget the fact that the situation in Syria or other West Asian countries is the outcome of their colonial legacy. 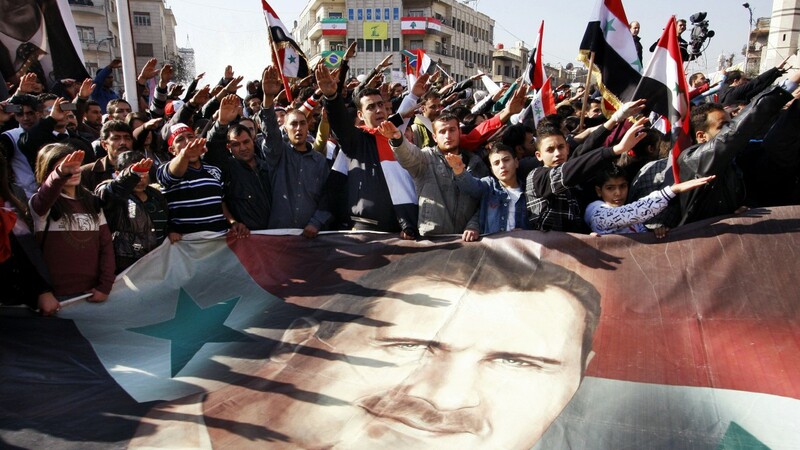 “They had redrawn the boundaries and created Assads and Saddams under the US leadership. Taliban and IS are their ‘liberal’ contributions to the world. Now when the humanitarian crisis is at the zenith, they cannot overlook the real menace that is barbarism of IS,” it said. It said the Syrian conflict has created over four million refugees and two million more are expected to flee due to persecution in Afghanistan, Iraq, Somalia and Yemen. 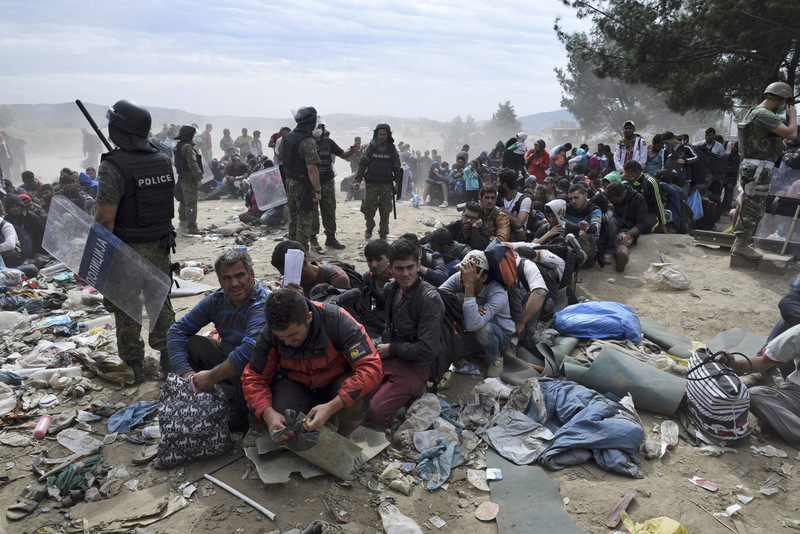 “There are reports that Islamic State (IS) militants are being smuggled in Europe in the guise of refugees. The IS operative claimed some 4,000 fighters were already waiting in Europe aiming to attack around the globe,” the RSS organ said. Noting that more than 2,50,000 people have already died and many are being tortured, it said asylum to refugees can be a temporary solution but not a permanent one. 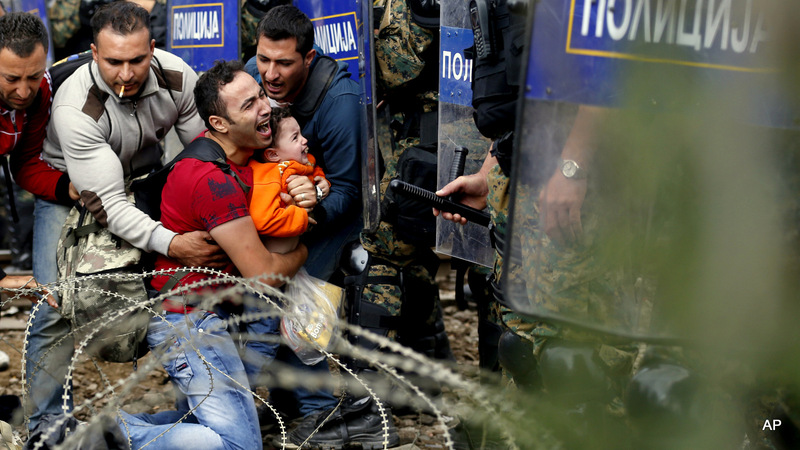 “Europe cannot hide behind the garb of refugees and neglect the real problem,” it said.